When you receive an item that is shipped to you from a freight company, whether it is being delivered to your location or to a freight terminal, be sure to open the box or crate and inspect the merchandise before accepting and signing for delivery. If you discover upon inspection that the merchandise is damaged, simply refuse to accept the delivery and we will replace that item at no additional cost to you. If there is damage please contact Advantage Business Equipment with 3 days of arrival. Any incorrect items shipped will be substituted with the correct items at no cost to you. In the unlikely event that you receive defective merchandise, you must receive a return goods authorization number from an Advantage Business Equipment Sales Associate, and items must be returned within 10 days of receipt. If merchandise is returned without a return goods authorization number it will be refused. Merchandise must be returned and prepaid by the customer. Some items will be returned to the manufacturer. Upon an evaluation by our authorized service technicians we will, at our option, replace the product. Where no error was made on our part, you must contact an Advantage Business Equipment Sales Associate. We will, at our discretion, issue a return authorization number. A return authorization number must be issued within 10 days after receipt of merchandise. Merchandise returned with our permission, subject to our inspection, will be accepted for credit less a 25% restocking fee. Returned merchandise must be freight prepaid by the customer. All merchandise must be returned undamaged and in its original packaging. If merchandise is returned damaged our authorized service technicians will evaluate the damage and the restocking charge with be based on the repair and replacement parts needed to bring the return product to a like "new" condition. Items that are non-stock special order merchandise are non-cancelable and non-refundable after 3 days from the time of purchase. If no portion of your order has shipped you may cancel your order within 72 hours of the time the order is placed. Cancellations may only be made via e-mail, no other method will be accepted. Advantage Business Equipment reserves the right to cancel orders. 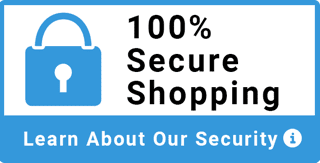 We want you to be 100% satisfied with your purchase. All returns require a pre-approval. To submit for an approval, please email us at sales@abe-online.com. ABE-online will process all orders the same day and free shipping offers are only available in the Continental US. All other orders may process but a sales rep will notify client within 24 hours of any additional fee to ship outside the CONT US. The order will be automatically cancelled and payment refunded if shipping quote is not acceptable or if buyer does not wish to use an alternate form of shipping. Advantage Business reserves the right to cancel any order as needed and payment will be refunded within 24 hours.